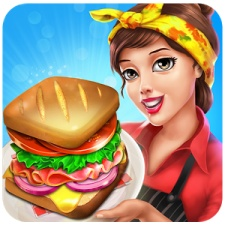 Indian-based developed Nukebox Studios has racked up 16 million downloads for its hit mobile game Food Truck Chef. The title is said to have reached the top spot on the Android casual game rankings in 40 countries. It’s made it into the top 100 grossing charts in over 100 countries across the App Store and Google Play. The news comes in time for the title’s one year anniversary, for which it has released a special ‘Space Street’ update that lets players serve food to aliens in space. Nukebox’s user acquisition campaign for the game was supported by the company’s partnership with publisher Tilting Point, which is backing it to the tune of over $18 million over three years. Since the deal was signed back in December 2017, Food Truck Chef’s average monthly revenue is said to have tripled, with 10-times more organic installs also reported. “We created Food Truck Chef to enable our players to live out their dreams of running a Food Truck,” said Nukebox Studios CEO Amit Hardi. “It feels great when our players write to us saying they are living vicariously through our game. Some have even gone on to start their own Food Trucks inspired by our game.